Last night my sister and I attended the advanced showing of The Best Man Holiday movie at Regal Cinemas Atlantic Station Stadium 16 IMAX Movie Theatre here in Atlanta. This movie is a must see!!! 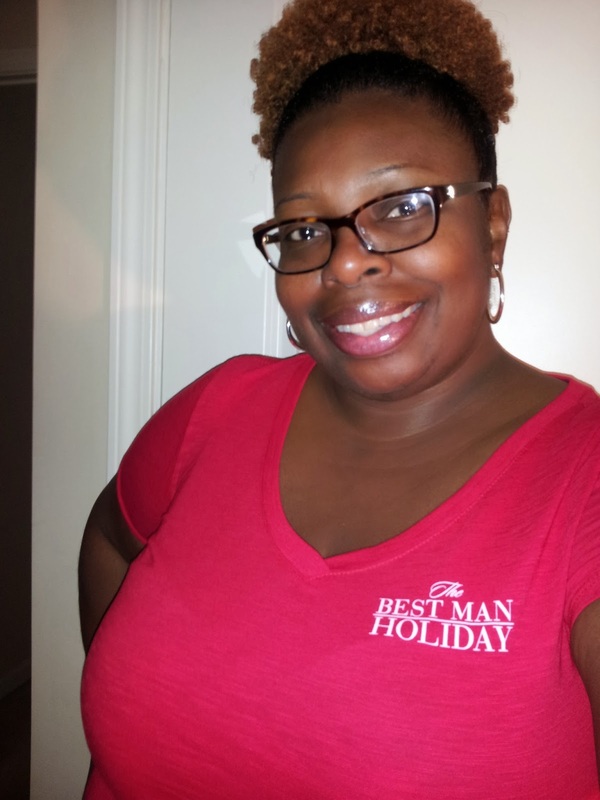 What I would recommend is that if the time permits to watch the first Best Man, and then go see The Best Man Holiday. I truly enjoyed this movie and I was also happy to see the gang back after 15years. And how cool was my T-shirt that was provided. The soundtrack to the movie is nice….that’s a must have for me and also makes a great stocking stuffer for Christmas. We're going tomorrow night! Dang has it been 15 years??? I'm so old!